Scientific Name: Mentha x piperita. Distribution and Habitat: Peppermint is found growing wild in the moist soils of the warmer parts of Europe, Asia, and America. It was cultivated in Europe but also in America, where it has become a vital crop over the last one hundred years. Peppermint is a perennial shrub which grows best in very moist soils with high water-holding capacity. 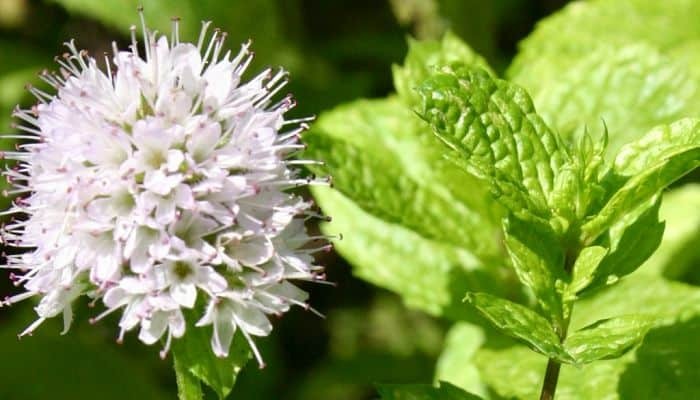 While the plant has proved invaluable in medicine, for both topical and oral uses, it is also used widely in the perfume, soap and of course the food industries, becoming the most commercially important of the Mentha species. It has a fresh odor and a persistent cooling taste. Annually in the United States, over 1,000,000lb of peppermint oil is produced. Plant Parts Used: The leaves are harvested when the plant is in bloom and the leaves are at their most flavorsome. The oil is used for pharmaceutical preparations, as well as a flavor for gum and candy, etc… The stems and leaves can be used for tea. Peppermint as a tea has become very popular and it is thought to have a number of health benefits for variety of ailments such as biliary disorders, dyspepsia, enteritis, ﬂatulence, gastritis, intestinal colic, and spasms of the bile duct, gallbladder and gastrointestinal (GI) tract. In Germany, peppermint leaf tea has been licensed for use during indigestion or dyspepsia. The oil has been used as an herbal pain relief and is a common ingredient in products aimed at athletes to soothe sore muscles. Peppermint oil, as an external treatment, has been approved for myalgia, muscle pain, and neuralgia and nerve pain. The essential oil of peppermint has been used as a topical application to repel insects. In India, researchers at the Malaria Research Centre in Delhi have found that the oil repels adult mosquitoes and can kill the larvae. This, in turn, can have positive effects on diseases such as Dengue Fever and Malaria. The camphor or menthol, derived from the peppermint oil is used as an antiseptic when treating colds, as a topical counter-irritant. It has been shown, that peppermint oil can reduce the muscle spasms in the upper and lower gastrointestinal tract of patients undergoing endoscopies, barium enemas, and colonoscopies and also that peppermint oil in capsule form can relax the muscle in the stomach and small intestine, which would ease cramping. It has been approved for internal use by the German Commission E, to effectively treat the gastrointestinal tract, gallbladder, and bile ducts. 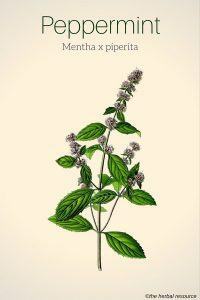 A number of studies have investigated the antioxidant effect of Mentha piperita. For example, an aqueous solution of previously frozen, yet fresh leaves were found to have the highest level of oxygen radical absorbance capacity, among a group of other popular medicinal herbs. It has been noted that peppermint may have cancer-fighting and anti-tumor abilities. It was shown to significantly suppress the effect of okadaic acid which promotes tumor formation. A high dose of menthol derived from the herb reduces the activity of cytosolic arylamine N- acetyltransferase (NAT) activity in the human liver tumor cell, however, this effect lessens with dose, and at very low doses can promote NAT relative to other substances. 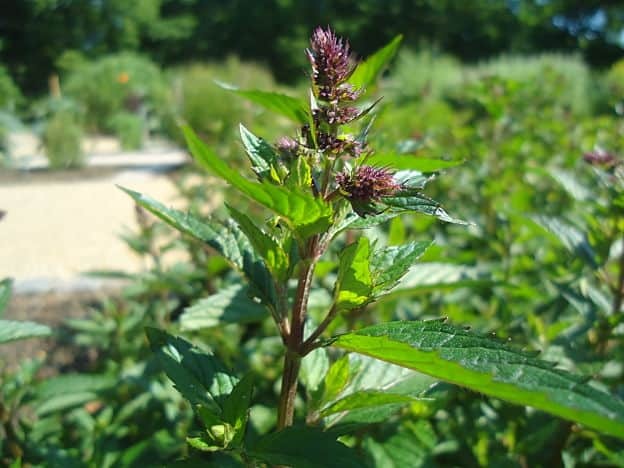 Studies have shown that the flavonoid glycoside, luteolin-7-O-rutinoside, obtained from Mentha piperita has a significant effect on the inhibition of histamine release. Menthol was also found to suppress the production of inflammatory mediating compounds. It has therefore been suggested that peppermint can play a role as an anti-allergenic. It has been noted that peppermint has anti-viral properties and aqueous extracts from the plant have significant effects on influenza viruses. The herb has been shown to inhibit influenza virus reproduction, reducing the infectiousness. In 1998, a study demonstrated that Mentha piperita was highly potent against the human immunodeficiency virus-1 (HIV-1) at a dose of 16µg/mL. Peppermint oil has been extensively researched concerning its antibacterial abilities. 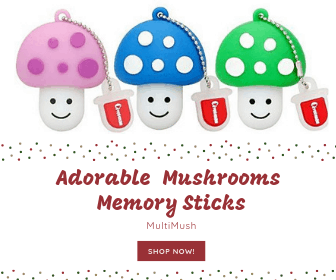 Its components menthol and menthene have shown a moderate inhibitory effect against human pathogens, such as Staphylococcus aureus, Listeria, Staphylococcus epidermis. One study found peppermint oil to be effective against 22 independent bacterial strains. Menthol is the most effective of the peppermint components, shown to be quite effective for gastrointestinal bacteria. The peppermint leaves and sometimes the stalks are harvested just before, or during flowering. The oil is steam distilled from the dried leaves also, and 0.05-0.6ml or 3-12 drops is recommended per day. Peppermint camphor or menthol are extracted by freezing the oil. Individuals with achlorhydria, biliary or gallbladder obstruction, or gallstones, acid reflux or issues of the esophagus should not use peppermint. Highly concentrated peppermint oil should not be rubbed on or inhaled profusely as it can cause dermatitis, flushing or headaches. Overconsumption of peppermint can also cause peristaltic actions of the colon to relax, slowing the movement of food in the alimentary tract, and thus is not recommended after dinner, or for people with a hiatal hernia. Menthol products should not be given to young children because nasal preparations could cause gagging, or spasms of the glottis (the opening between the vocal cords in the throat), resulting in airway obstructions. The Columbia Encyclopedia, 6th ed. The Columbia Electronic Encyclopedia. Columbia University Press. 2013. Hill, Albert. F. Economic Botany: A Textbook of Useful Plants and Plant Products. Edition: 2nd. New York. McGraw-Hill. 1952. University of Maryland Medical Centre. Peppermint. Foret, R. Healing Herbs eBook. LearningHerbs.com & Mountain Rose Herbs. 2009. Johnston, R.D. The Politics of Healing: Histories of Alternative Medicine in Twentieth-Century North America. New York. Routledge. 2004. Becker, C. Time for Healing: Integrating Traditional Therapies with Scientific Medical Practice. St. Paul, MN. Paragon House. 2002. Blumenthal, M., Busse, W.R., & Goldberg, A. et al. (eds). The Complete German Commission E Monographs – Therapeu- tic Guide to Herbal Medicines. Austin. American Botanical Council. 1998. 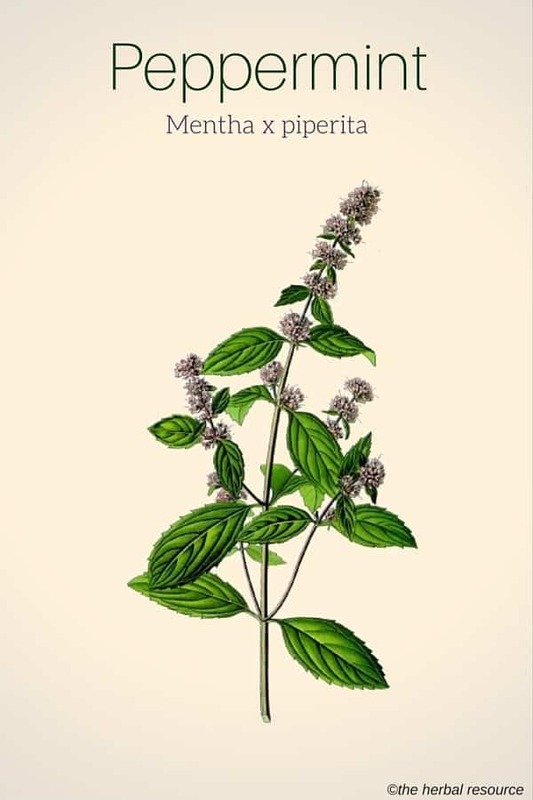 Inoue, T., Sugimoto, Y., Masuda, H. & Kamei, C. Antiallergic effect of ﬂavonoid glycosides obtained from Mentha piperita L. Biol Pharm Bull. 2002. 25: 256–259. Azuma, K., Ito, H., Ippoushi, K. & Higashio, H. In vitro anti- bacterial activity of extracts from four Labiatae herbs against Helicobacter pylori and Streptococcus mutans. Bull Nat Inst Veg Tea Sci 2003. 2: 83–91. Robson, T. An Introduction to Complementary Medicine. Crows Nest, NSW. Allen & Unwin. 2003.